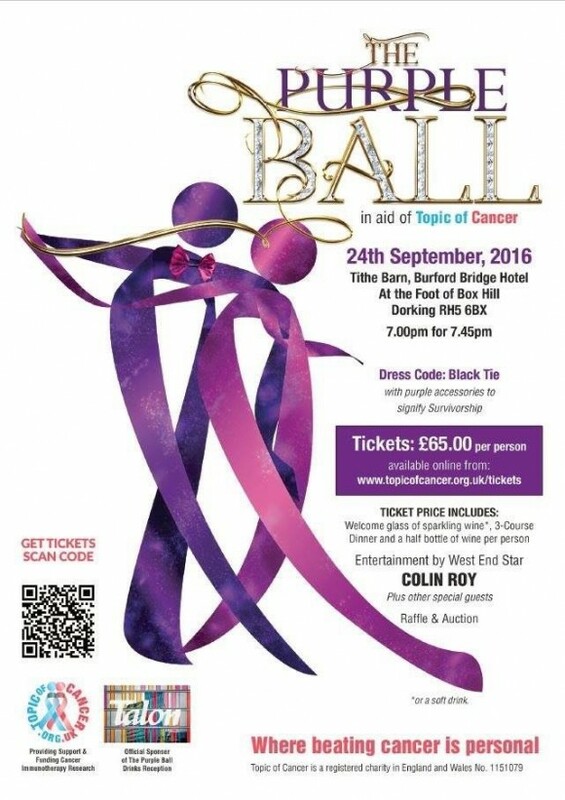 Purple Ball tickets are now on sale! Join us for a night of live music, auctions, west end stars and fun fun fun! I am a proud trustee of this wonderful charity which raises money for research into ground breaking immunotherapy and also provides much needed emotional support for those affected by cancer. For £65 you’ll get a three course meal, a glass of bubbles, half a bottle of wine, west end star Colin Roy wowing everyone with his beautiful voice and much much more. I would love to see some of your smiling faces there on the 24th September! See flyer on how to buy tickets.